The spirits maker’s wines could be worth 2 billion euros including debt. Following rival Diageo’s lead by selling lower-margin wine brands could boost Pernod Ricard’s share price. That might keep aggressive activist shareholder Elliott at bay. 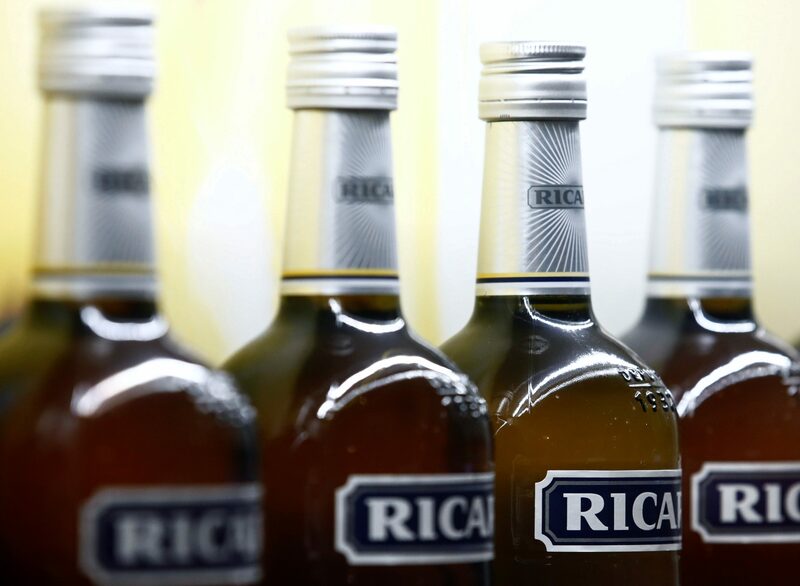 A logo is seen on a bottle of the Ricard aniseed-flavoured beverage displayed during French drinks maker Pernod Ricard news conference to announce the company annual results in Paris, France, August 29, 2018. Activist investor Elliott Advisors said on Dec. 12 it had built up a stake of just over 2.5 percent in Pernod Ricard, and called on the company to boost its operating margin and improve returns for investors. Pernod Ricard is posting its full-year results on Feb. 7.